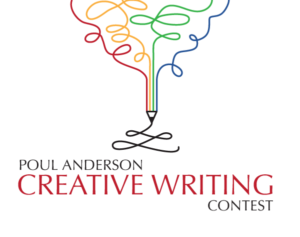 The Friends of the Orinda Library is pleased to announce the winners of the 2014 Poul Anderson Creative Writing Contest, an annual competition open to all high school students who live or attend school in Orinda. The writing contest is named in memory of Orinda resident Poul Anderson, a popular science fiction writer of over eighty books. Winning entries are selected by a panel of judges who are involved professionally in reading, writing, or publishing. This year’s judges are Ginger Wadsworth, author; Sally Small, author; and Janet Boreta and Marian Nielsen of Orinda Books. The contest includes four categories: science fiction, short story, essay/memoir and poetry. First place prizes in each category are awarded $250; honorable mentions are also granted to deserving pieces.